The contents of the thesis reflects its structure and creates the first impression about her. This is the "face" of your diploma, which must be attractive and flawless. This is the level of the research culture of the student, his ability to present the results of their work. If you allow negligence and errors when making a table of contents of the thesis, the reader begins to doubt the value of its content. - guidelines for the design thesis. Execute the contents of the diploma only after making all the semantic and design changes, when the work is completed. Otherwise there is a high probability that the numbering of the pages of "go" and will no longer match the sequence of pages specified in the table of contents of the diploma. The wording of chapters and paragraphs should also have a final character. While not quite desirable titles, consisting of two sentences. The content of the diploma is immediately after the title page. The word "contents" is written in capital letters at the top and center of the page. The contents includes titles of chapters (usually at least two and not more than four), paragraphs (at least two per Chapter) and points allocated within each paragraph (the third level headings in the table of contents of the diploma to make optional). Mandatory sections of the diploma are the introduction, conclusion and list of sources used, often also include the application. The text of the table of contents is printed using the half interval. The point after headings and sub-headings are not assigned. First-level heading in bold print, Times New Roman, size 14, starting with a capital letter, then lowercase. However, in many cases all the headers of the first level are printed in capital letters - so the structure of the table of contents visually looks better. This is the Chapter titles and sections such as introduction, conclusion, bibliography and applications. The titles of the chapters indicate their number Arabic numeral, the word "Chapter" before the number is not written, the dot after the Chapter number is not assigned. The titles of the paragraphs print normal font Times New Roman, size 14, lowercase letters (the first capitalized). Do not place the section sign (§) and write the word "paragraph" before the title. Number the paragraphs in Arabic numerals, where the first indicates the Chapter number, which includes the paragraph, and the second is the number of the paragraph within this Chapter (e.g. : 2.2). The period after the paragraph number is not set. The paragraphs inside the paragraph have a number of three digits where the last digit is the number of the paragraph in this section (e.g. 2.2.2). Opposite the name of each section and sub-section enter a page number at which it begins in the text of the diploma. Between the last letter of the name and the page number is ottochie. To visually align a column of numbers, you can use the Tab key after typing and printing the page numbers for all headings at the same level. You can create a table with two columns where the left column will be the headers, and the right are the corresponding page numbers. When you print choose the option "table – Hide gridlines", and the lines will not be visible. Those who know how to do automatic TOC document, use this function. Each school and faculty have guidelines for the design of projects and dissertations. 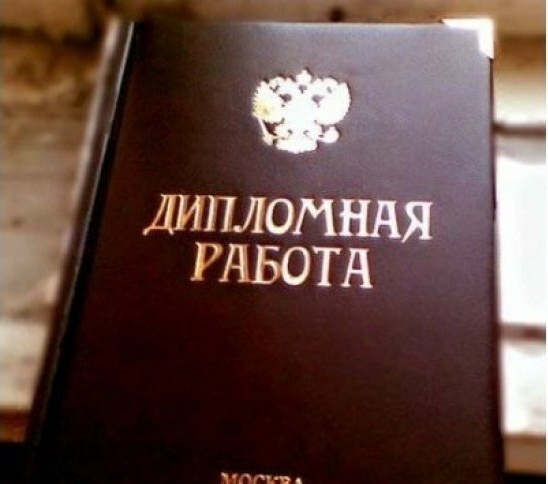 Although the General rules for their registration in the Russian Universities, in General, the same differences also exist. This is due to the fact that the state standard for registration that is degree works does not exist. The universities are guided by the design standards of the research work according to GOST 7.32-2001, GOST R 7.0.5-2008. If in your work there are applications, each of them must have a number and a name – and this should be reflected in the table of contents of the diploma.